In exactly two months from today, 20th Century Fox's Fantastic Four hits theaters, and to celebrate the occasion, the studio has debuted a brief teaser. 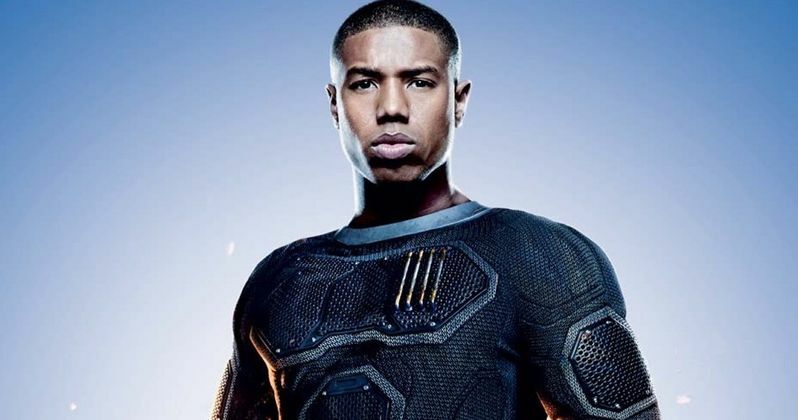 The 12-second video showcases new footage of Michael B. Jordan as The Human Torch. It isn't known if the studio will release a new full trailer before the superhero reboot debuts in theaters August 7. Fantastic Four, a contemporary re-imagining of Marvel's original and longest-running superhero team, centers on four young outsiders who teleport to an alternate and dangerous universe, which alters their physical form in shocking ways. Their lives irrevocably upended, the team must learn to harness their daunting new abilities and work together to save Earth from a former friend turned enemy. Michael B. Jordan's The Human Torch is joined by Miles Teller's Mr. Fantastic, Kate Mara's The Invisible Woman and Jamie Bell's The Thing. The supporting cast is rounded out by Toby Kebbell as Dr. Doom, Tim Blake Nelson as Harvey Elder and Reg E. Cathey as Dr. Franklin Storm, the father of The Human Torch and The Invisible Woman. Do you think this superhero reboot will set the box office on fire when it hits theaters in exactly two months? Check out the new video and chime in with your thoughts below.